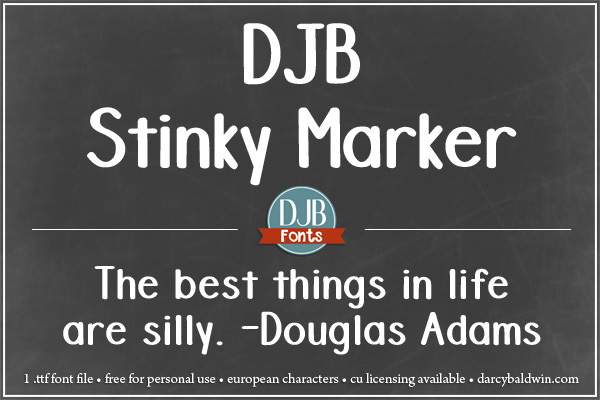 DJB Stinky Marker Font – A bold hand drawn font that’s great for product covers, teacher created product and classroom materials. It also includes European language characters. Get the webfont from FontSpring.